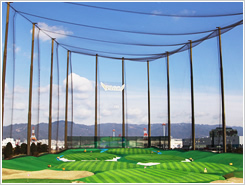 Port Island Golf Club, the most famous golf range in Kobe, Japan. 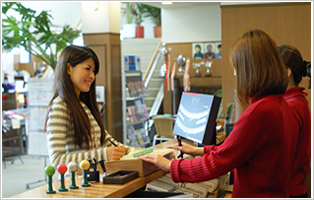 ※Above fees will be charged from your prepaid cards. 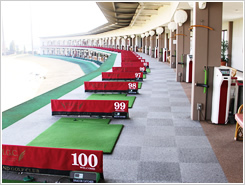 Each spacious driving range bay (100 driving range bays in total) is furnished with an original wicker chair that offers complete comfort, enabling users to practice in a relaxed atmosphere. 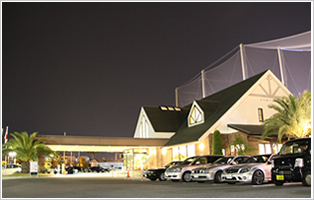 All of the driving range bays are fully equipped with auto tee-up systems and head speed display systems. Our strategically laid out target greens makes you feel like you are actually playing in a links course. We are proud and confident to present to all golf lovers this carefully thought-out fairway. 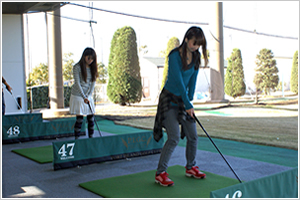 You are welcome to practice your putting skills on our green free of charge during our open hours. Our bunker is designed to suit all situations. Bunker use is free of charge. Please feel free to warm up and/or cool down in this room. 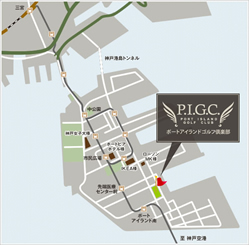 You may also purchase our prepaid cards here. Our Maintenance Room is equipped with various exercise machines.